Fans of the FX series Wilfred can relive the entire second season with Wilfred: Season Two, currently available on Blu-ray and DVD from Fox Home Entertainment. 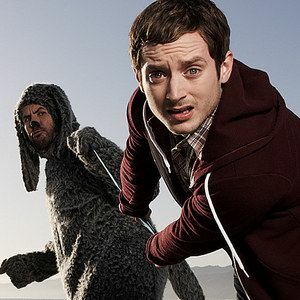 Elijah Wood stars as Ryan, who sees his neighbor's dog Wilfred (Jason Gann) as a man in a dog suit, while everybody else just sees a normal dog. We have a contest lined up where our readers can win this Blu-ray set, featuring all 13 Season 2 episodes and several special features. Take a look at how you can bring home this set today. Elijah Wood and Jason Gann return for another fearlessly funny season of Wilfred...the story of a dog and his man. Season 2 finds Ryan making a fresh start with a real job and a new girlfriend. But with Wilfred's help, Ryan discovers he still has a lot to learn about life, including "squishy" viral videos and the on-going cuteness war between dogs and babies.